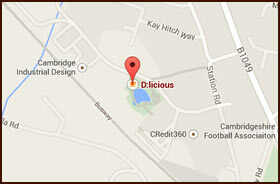 At d:licious coffee & sandwich bar we believe in serving fresh, top quality food. Our baguettes, pastries and jacket potatoes are all freshly baked on-site, our rolls are supplied daily from a local bakery and our comprehensive cake range are sourced from a small local company who have been able to retain that ‘homemade’ taste and feel to their cakes. We believe YOU should dictate what YOU have and as such our menu is broken down for you to decide what bread to have, with what filling and with any extras. of course we have a wide selection of favourites ready for you if you’re in a rush or are looking for inspiration! View our sandwiches here Our range of cakes includes carrot cake, banana cake, lemon cake, date & walnut cake, chocolate cake, millionaire shortcake, chocolate shortbread, shortbread, traditional flapjack, muesli flapjack, cherry flapjack, cookies, toffee pecan square, yoghurt, raisin & pecan square, chocolate cornflake square, chocolate truffle brownie, paradise bar, congress tart, rocky road and oat & almond tart. You can download our main menu here page 1 | page 2. Further to this we have a main range of paninis that we provide (see main menu) plus we also have our ‘special paninis’.